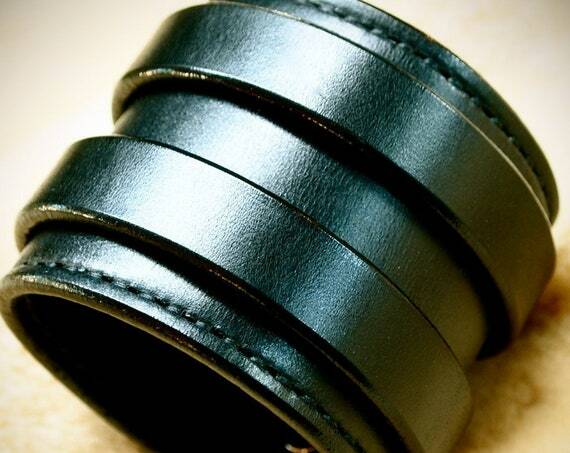 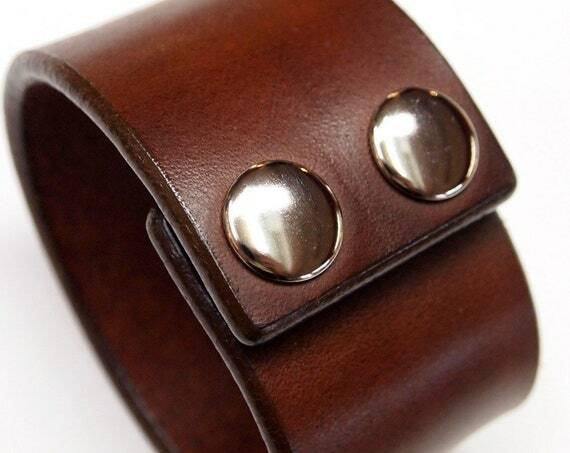 $40.00 Leather cuff bracelet : Brown Bridle Leather wristband. 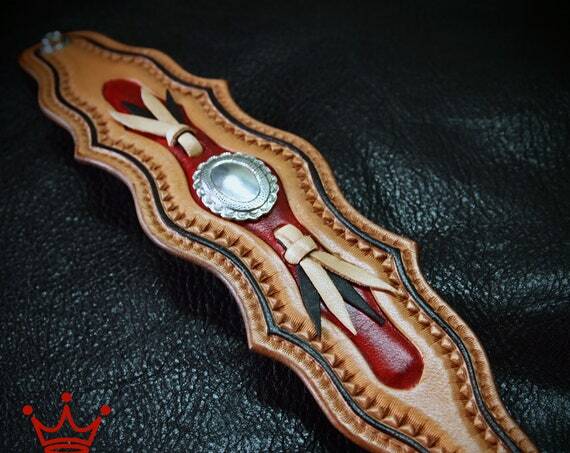 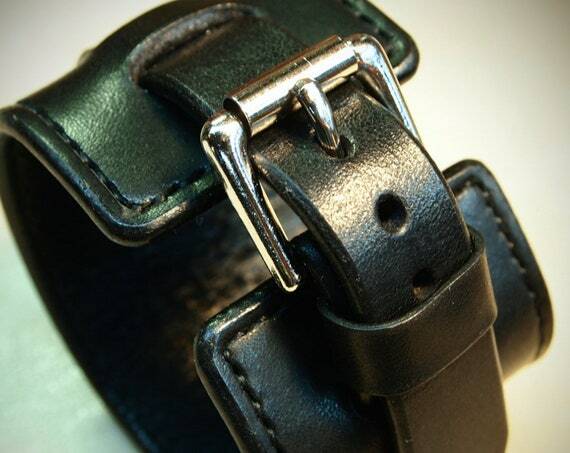 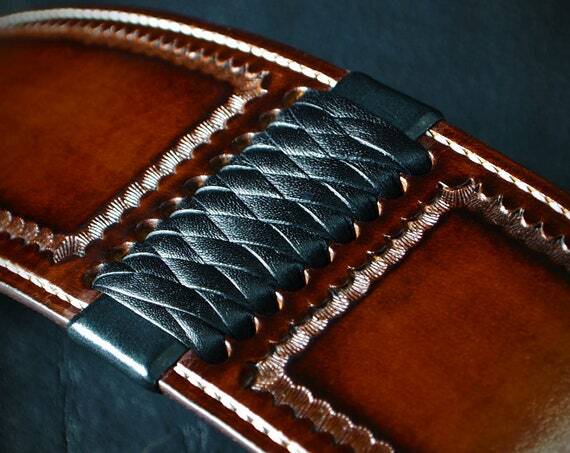 Custom made for You in USA using refined leatherworking techniques! 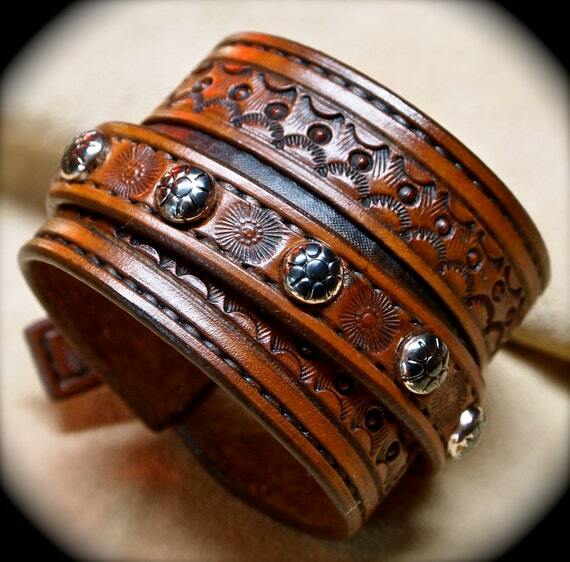 $280.00 Leather cuff wristband Native Western style hand tooled with kangaroo lace and Conchos handmade for YOU in USA by Freddie Matara $215.00 Leather cuff bracelet Custom hand tooled Suntan brown Made for YOU in USA by Freddie Matara $110.00 Leather cuff bracelet Black bridle leather wristband Hand worked and made for You in Brooklyn USA by Freddie Matara $150.00 Black Leather Cuff Bracelet: Handstitched Luxurious American Bridle Leather, Handmade in New York! 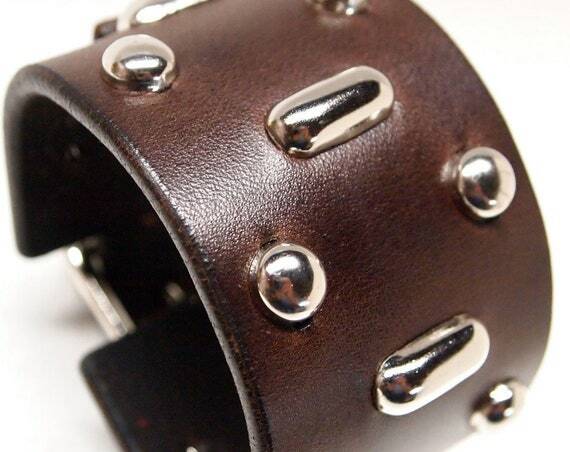 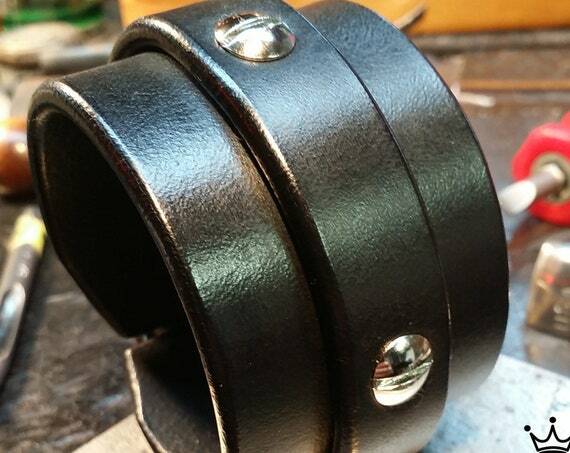 $160.00 Leather cuff bracelet Custom Brown Tan sunburst Hand stamped and Laced Made for YOU in New York by Freddie Matara $100.00 Black studded leather cuff: 2 inch wide using Beautiful American bridle leather! 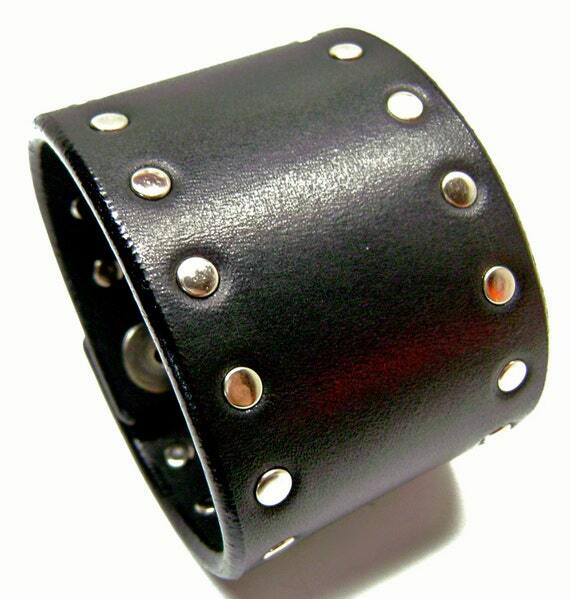 $100.00 Brown Leather cuff : Fear and Loathing Style wristband bracelet. 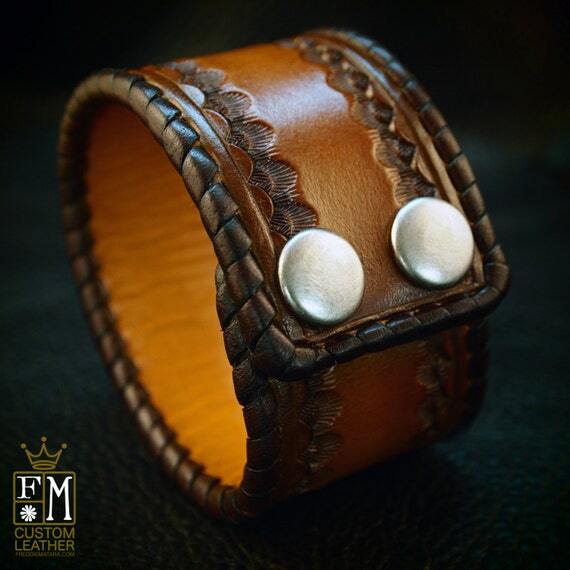 Hand made for you in New York $115.00 Leather cuff Bracelet black handstitched custom crafted for YOU in New York by Freddie Matara $295.00 Brown Leather cuff Bracelet American Western Saddle wristband Handstitched Braided Stamped Handcrafted for YOU in USA by Freddie Matara!